The NorthEast Regional Computing Program (NERCOMP), a consortium of educational institutions across the northeastern United States and Canada, announced today a new partnership with Ready Education, the leading developer of mobile apps designed to improve student engagement, communication, and success in higher education. As a NERCOMP Solutions Provider, Ready Education will provide the consortium's 270+ member institutions with insights on improving student engagement, as well as exclusive member pricing. "Today's student population struggles with a variety of challenges -- from overcrowded email inboxes to work and family commitments -- that can create barriers to engagement and persistence," said Tiffanie Bentley, Dean of Students at Southern Maine Community College, a NERCOMP member and current Ready Education partner institution. "By developing a custom mobile platform designed specifically for the modern student, we're able to better meet the needs of our student body and connect them to on-campus supports." Developed by a team of former student affairs professionals, researchers, and engineers, Ready Educationuses native mobile technology -- including customizable alerts, real-time feedback tools, and GPS navigation -- to streamline the campus experience and provide a single platform for students to access information about courses, events, and other resources. 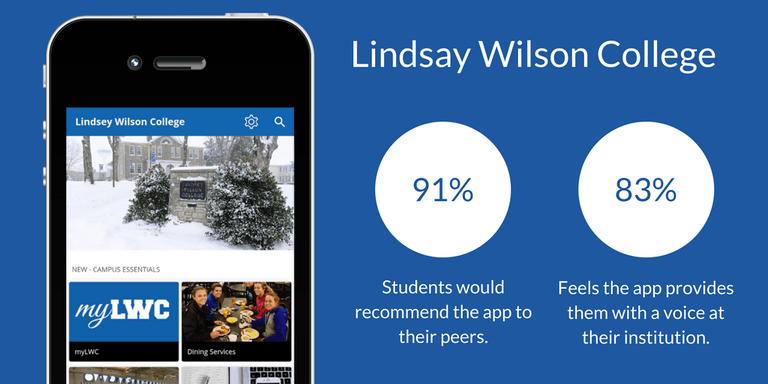 Recent research at Kentucky's Lindsey Wilson College found that first-year students who use their campus app were 17% more likely to return after the first semester than those who did not. "NERCOMP is pleased to begin a partnership with Ready Education," said Karen Warren, Chair of NERCOMP and Deputy Chief Information Officer at Wesleyan University. "Their team's deep experience in higher education brings a valuable addition to NERCOMP's portfolio, offering our members a strong partner who understands our environment and has a proven track record of effective mobile solutions. Their selection is the result of careful consideration and mutual engagement in the process. We are very happy to have them on board." "As a new generation of students enter into college, schools face the challenge -- and the opportunity -- of supporting their changing student population with new technologies and strategies," said Danial Jameel, Co-Founder and CEO of Ready Education, who began his career in student affairs. "We are excited to partner with NERCOMP to help higher ed institutions across the northeast improve engagement and retention." For more than 60 years, NERCOMP has worked with educational institutions across the northeastern US and Canada to advance innovation and cultivate communities of practice around education technology. About NERCOMP NERCOMP is one of the largest and oldest regional consortia advancing innovation and effective application of technology in support of education. It is uniquely positioned to provide quality, affordable professional development to its 270+ members in the Northeastern United States and Canada. NERCOMP workshops and conferences bring together peer experts to discuss the use and management of computers, networks, telecommunications, and information technology in libraries, education, academic research, and administration. In addition, these events give members the opportunity to meet colleagues, create networks, and take away new ideas. To learn more, visit http://www.nercomp.org.